Matt Eakle and his flute have been blowing crowds out of their chairs and onto their feet since 1989 as the first wind player to share the front line with David Grisman in the David Grisman Quintet. 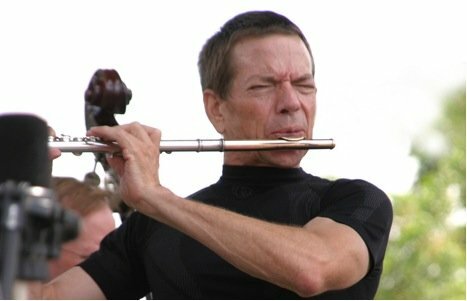 He’s featured on 14 Acoustic Disc CDs with the DGQ, Jerry Garcia, Enrique Coria, and as the leader of his own jazz trio on the CD, Flute Jazz. On these and hundreds of other recordings, Matt takes people’s preconceived notions of what a flute can do and blows them inside out. Since the beginning of his professional career in 1976, Matt has performed in rock and jazz bands as well as symphonic, ballet and opera orchestras. In 1978 he met jazz guitarist and professor of classical guitar at S.F. State University, Davis Ramey, with whom he performed in a duo for 30 years. They added cellist, Mark Summer, of the Turtle Island String Quartet, and as Trio Con Brio, were known both as consummate jazz improvisors, and interpreters of classical masterpieces. Matt appears on 4 CDs with Jerry Garcia including the Grammy nominated So What with Garcia/Grisman. His other Grammy nominated recordings are Simple Pleasures with banjo virtuoso, Alison Brown, and Dawg 90 with the David Grisman Quintet. You can also hear Matt featured on Chris Isaak’s recording, Notice the Ring, and on the bass flute providing a mellow setting for Bonnie Raitt’s, Home. He performed with the mariachi group, Los Camperos, in Linda Ronstadt’s theatrical production, Mas Canciones de Mi Padre. 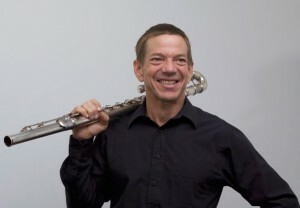 Matt’s ability to mimic the sounds of Japanese, Arabic, Native American, and East Indian flutes with the silver flute is unique. His note bending, growls, singing, percussive sounds and circular breathing combine to create an alchemy which transforms the silver flute into bamboo, cedar or ebony. You can hear this in Matt’s recordings with Indian tabla master, Zakir Hussain, Japanese koto virtuoso, Shirley Muramoto, Arabic percussionist, Vince Delgado and Pakistani singer, Afqat Ali Khan. Matt performed and recorded with new age piano pioneer, Suzanne Ciani, and toured Europe and Asia as a member of her group, The Wave. Their DVD, Suzanne Ciani and the Wave, is often used in Public Television membership drives. His involvement in the fight to preserve the Headwaters Forest led Matt to produce the Headwaters Project, a compilation of music evocative of, or inspired by the wilderness. Paul Winter, David Grisman, Zakir Hussain, Norton Buffalo and Paul McCandless are just a few of the incredible musicians with whom Matt collaborated on this project. Matt recently worked with Darryl Cherney as Musical Director of the documentary film Who Bombed Judi Bari?. His flute can also be heard in the critically acclaimed documentary The Wild Parrots of Telegraph Hill. 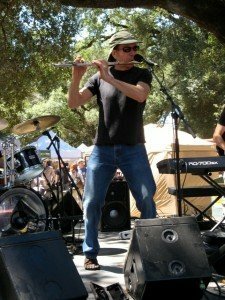 Matt is available for performances and recording sessions as a soloist, a leader of his own groups, and for hire with other bands, orchestras and other groups in Marin, San Rafael, Mill Valley, Novato, Sausalito, West Marin, Larkspur, Corte Madera, Orinda, Fairfax and the San Francisco Bay Area and beyond.